When the coating is too thick the coating can lead to other defects such as bubbles, cracking and delamination. 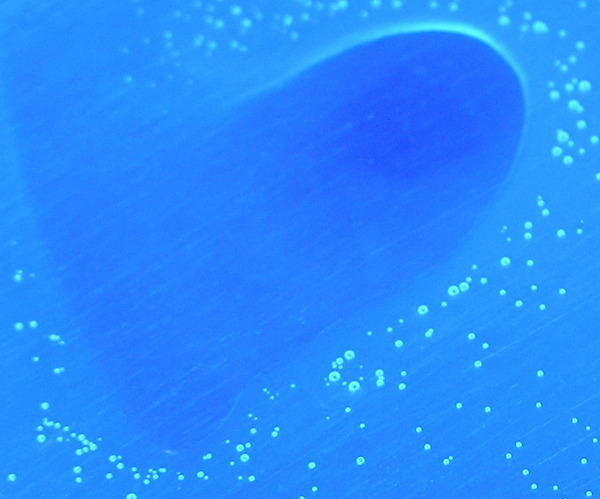 Examples are shown in the images where the conformal coating is uneven. Capillary effects: Wicking can pull the coating under components, filling the area underneath the device with very thick material and leaving other areas clear of coating. This can also lead to large fillets of coating between leads and bridging effects, which can lead to CTE mismatch problems in the long term. Effects of Gravity: Gravity can lead to coating running down the sides of components and pooling at the base. It can also lead to poor tip coverage of sharp edges. This can also be a factor with surface tension effects of coating which can move the liquid around the circuit. Overlapping Material layers: An automatic spray pattern from a robot may inadvertently apply some areas with thicker amounts of coating by overlapping the spray stripes. Entrapped Coating: A circuit board when withdrawn from a dip tank in a dip process may have entrapped coating in pockets of the components or board itself that can lead to very thick areas of coating. 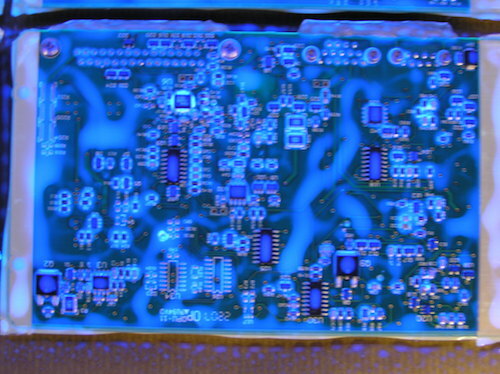 Drying Too Quick: A conformal coating may not level out correctly when applied may be prematurely “gelling” too quickly. Capillary effects: Avoid wicking and the problems associated with it. Effects of Gravity: Ensure the coating technique takes into account the effects of gravity. For example when spraying, use multiple thin layers of coating. This reduces the amount of free liquid to flow on the vertical walls and ensures the coating sticks where applied. Overlapping Material layers: Program the selective robot to avoid crossing the flow stripes where possible. 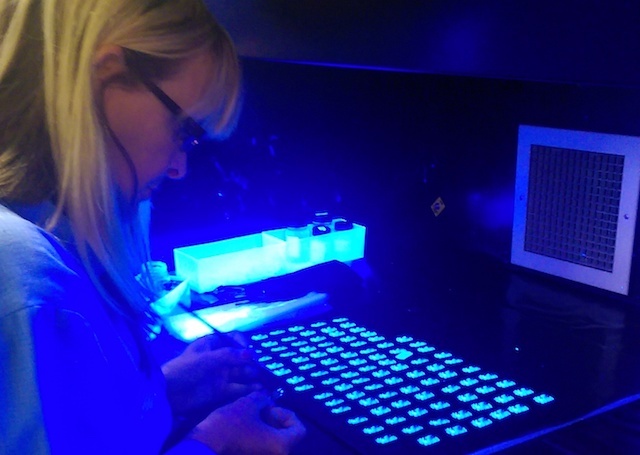 Shadowing: Avoid shadowing effect problems with conformal coating. Entrapped Coating: Ensure the optimum drain angle when dipping to ensure minimal coating is trapped. Other options including building in a tilt or rotate mechanism into the fixtures of the dip process so that the drain can be more effective. Finally, design the circuit with drain holes and flow paths to achieve good coating coverage. Drying Too Quick: Use a lower viscosity mix of the coating if the coating is prematurely drying and not levelling. Also, reduce the extraction rate and increase the ambient temperature for better flow.